After convincing second successive group victories, three of last season's UEFA European Women's Under-19 Championship semi-finalists – Italy, Switzerland and Norway – eased through to the second qualifying round, where they will be joined, among others, by Denmark, Spain and Austria, who all enjoyed large winning margins. Spain and Switzerland advanced with ease as they rattled off eight and seven goals respectively in their second Group 10 victories. Spain captain Gema Gili helped herself to a hat-trick in the 8-0 rout of Moldova, while Eseosa Aigbogun followed suit as last season's semi-finalists ran out 7-0 winners against Bosnia and Herzegovina. Sarah Zadrazil was also among six players to hit three as Austria registered the same scoreline against Armenia, surging to the top of Group 6, from where they have qualified with last season's hosts Italy, 4-0 winners against the Former Yugoslav Republic of Macedonia. The 2011 runners-up Norway and the Netherlands are also through from Group 1, Jarl Torske's charges completing a stylish 7-1 success against Croatia, while Eshly Bakker scored twice in the Oranje's 3-0 defeat of Bulgaria. Eliska Šturmová bagged half the Czech Republic's goals as they won 6-1 against Estonia, going through to the next stage alongside Poland, scorers of five against Cyprus. Elsewhere, there were 4-1 wins for the now qualified Wales and Scotland – Lana Clelland grabbing her second treble in as many games for the latter – while the Republic of Ireland's 5-1 triumph secured their passage. 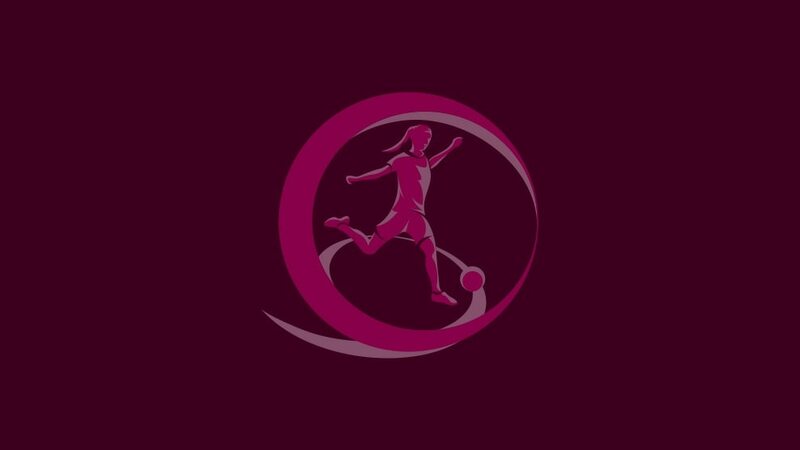 Also through to the second qualifying round – where the three most recent winners Germany, France and England await – are the evening's highest scorers, Denmark, who crushed Latvia 9-0 with the help of four Christina Bovbjerg goals, and Romania. Striker Alexandra Lunca plundered all three goals against Northern Ireland, to add to the six she managed against Lithuania. Iceland and Finland have progressed smoothly but there was drama in Group 2, where Portugal clawed back a two-goal deficit to draw 3-3 with Hungary, who need a point against the Republic of Ireland on Thursday to pip Arnaldo Cunha's side to second place. It is even tighter in Group 5, where Serbia's 4-2 defeat of Ukraine has left both sides level on three points, with Milan Rastavac's side facing top-of-the-table Sweden in their final match – all three could yet finish on six points. In Groups 8 and 9 Russia and Belgium still need a point to ensure they stay on the road to Turkey. The second qualifying round lineup will be completed by the third-placed team with the best record against the top two in their group.